HOLA! It was quite a nice day today so I thought I’d grab my camera and take a few snaps whilst the sun was out! 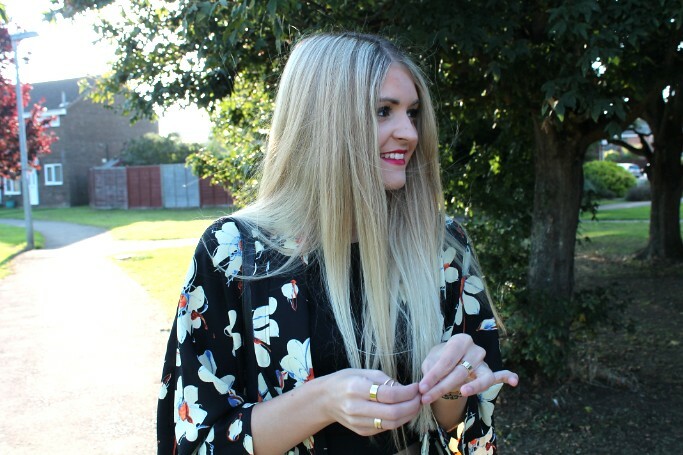 Kimonos were my summer obsession and although we may be creeping into Autumn that doesn’t stop me! I like the print on this one, as it’s black with floral I think it will make for a nice transitional sort of piece. Teamed with my mom jeans which I promise I will stop wearing in every post (soon). First week back at uni this week and I already feel swamped. A few projects sound like they will fun-ish though, but I probably won’t be saying that in a months time. I have quite a few things coming up on here this week including a giveaway and a student feature with Oh My Love (yay!) so keep your eyes peeled for those! Now I’m off to chill with netflix.